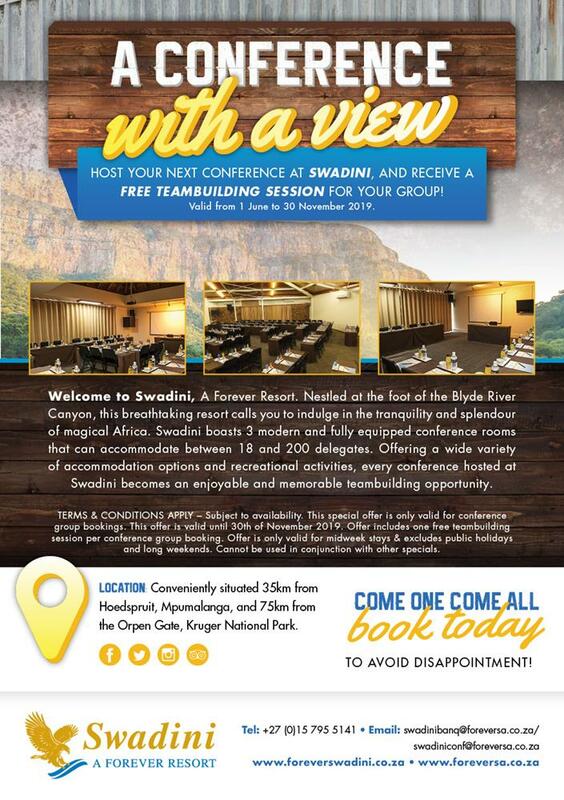 Calling all fishermen, hunters, outdoor & nature lovers! 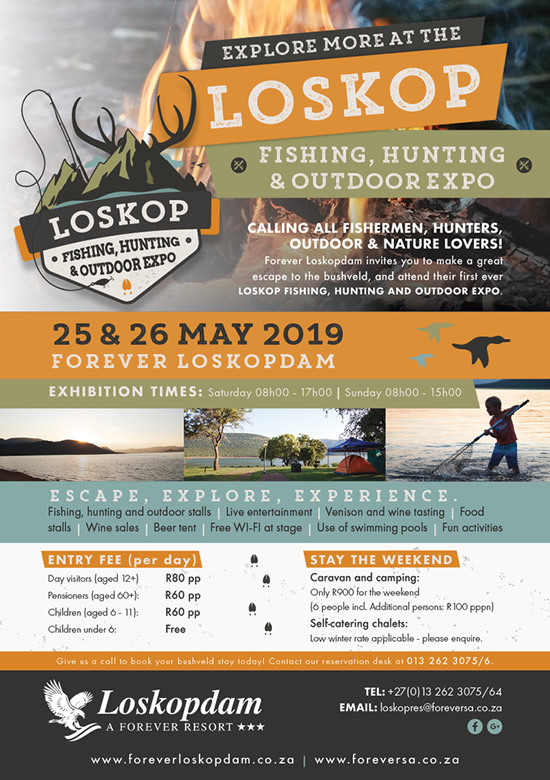 Forever Loskopdam invites you to make a great escape to the bushveld, and attend their FIRST EVER Loskop Fishing, Hunting & Outdoor Expo. Badplaas, A Forever Resort invites you to a one day outdoor festival. It includes live entertainment with craft stalls and a kiddies corner. 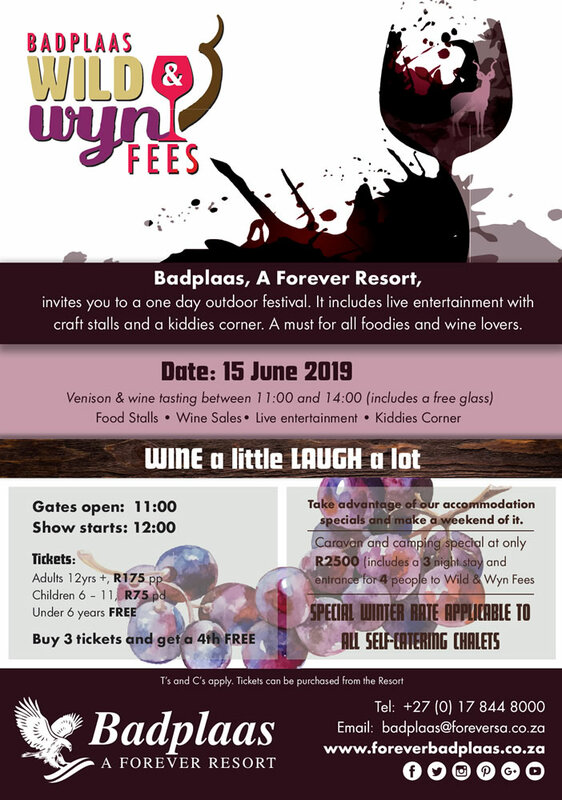 A must for all foodies and wine lovers. 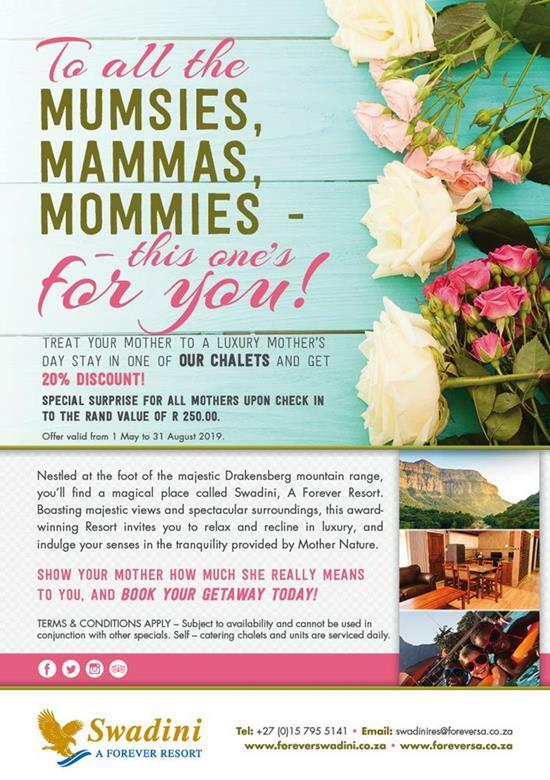 Special offer is only valid from 14 June till 16 June 2019. Special includes 1 camping site for 4 people for 3 nights plus entrance into the Wild en Wyn Fees. 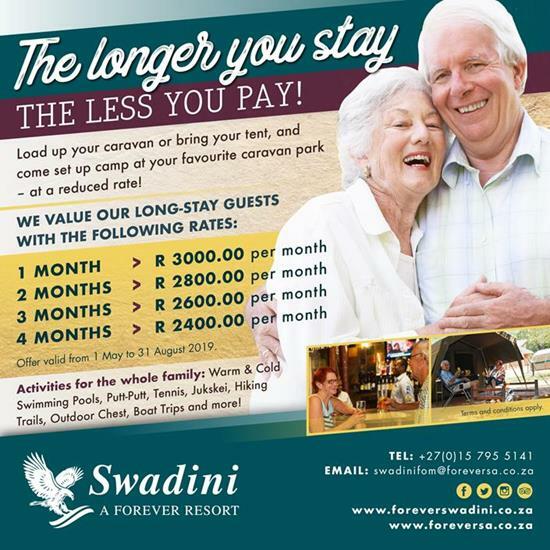 Winter rates applicable to all self-catering units. 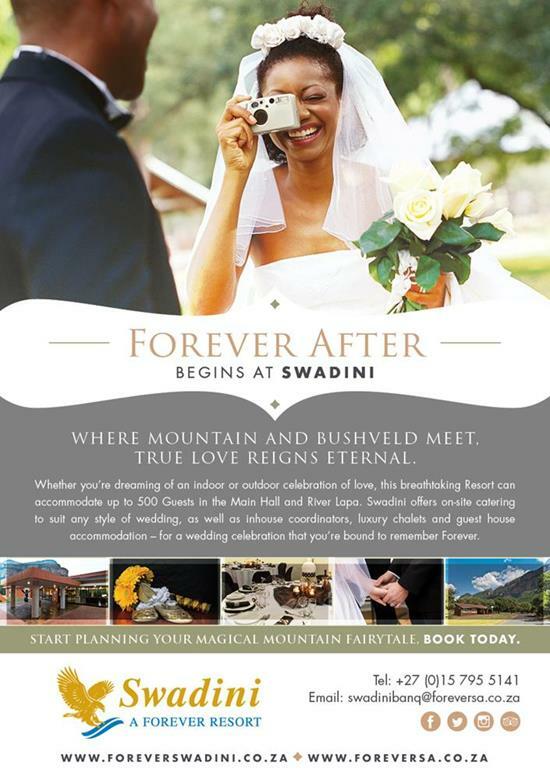 This offer excludes travelling costs to and from the property. 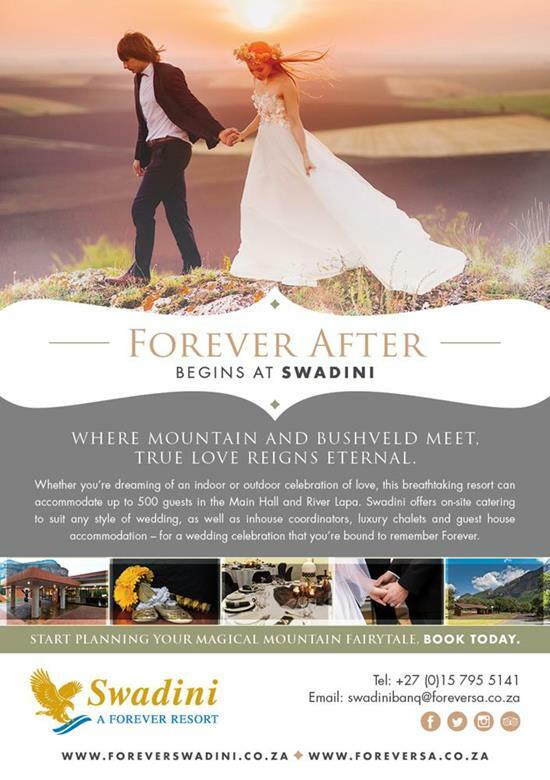 Badplaas, A Forever Resort reserves their right to admission. No pets are allowed - with the exception of guide dogs. No alcohol is to be served to minors/ people under the age of 18. Adult ticket includes 1 free wine glass for tasting. 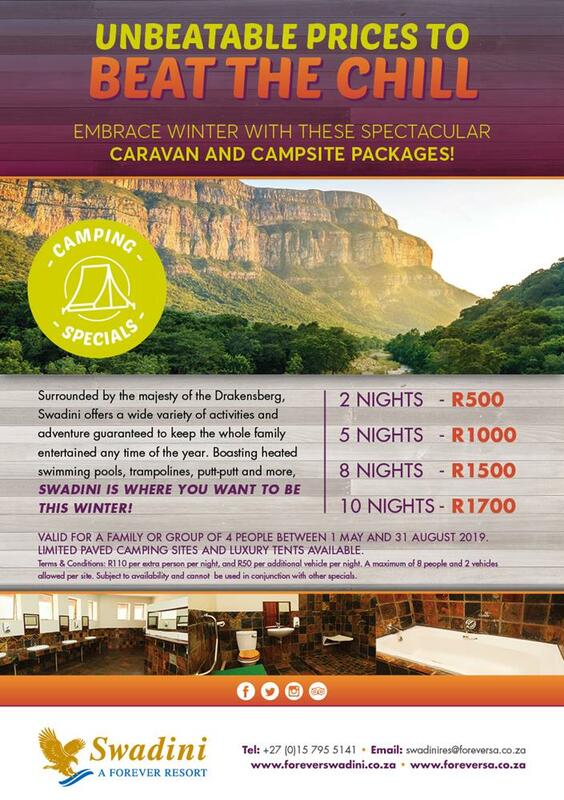 Bookings to be made telephonically with Badplaas directly. Don't let winter keep you contained! 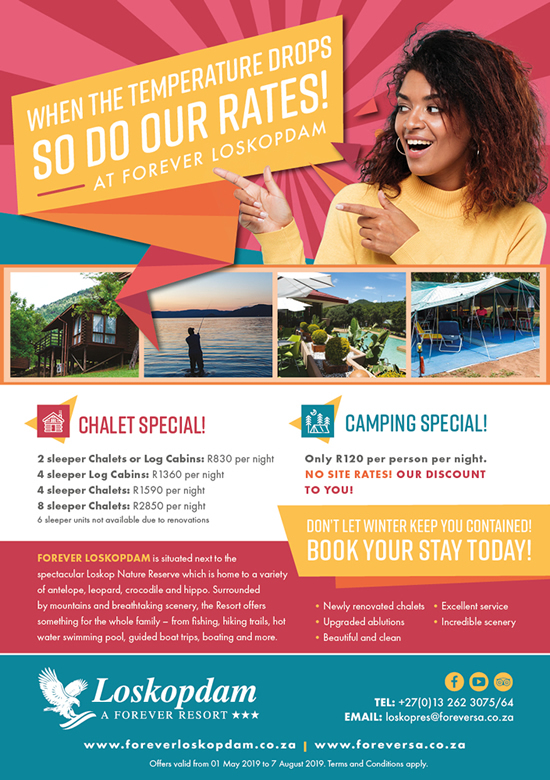 Book your winter stay at Loskopdam, A Forever Resort today. 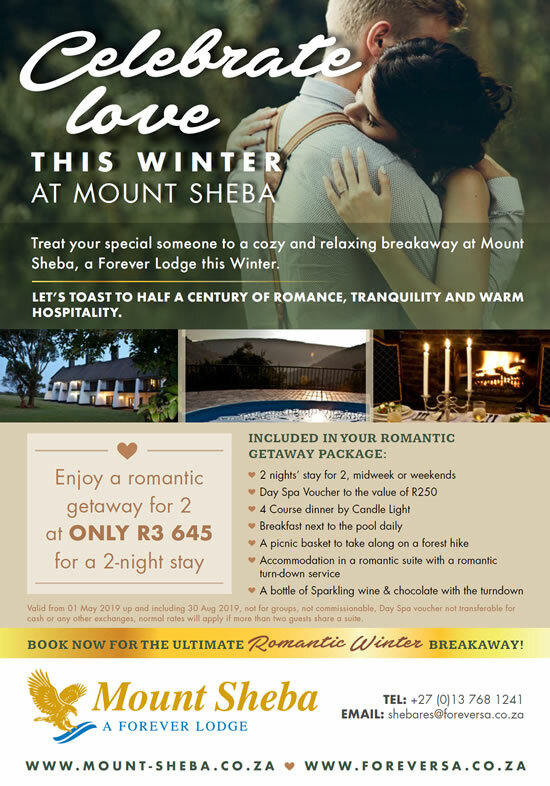 Treat your special someone to a cozy and relaxing breakaway at Mount Sheba, A Forever Lodge this winter. 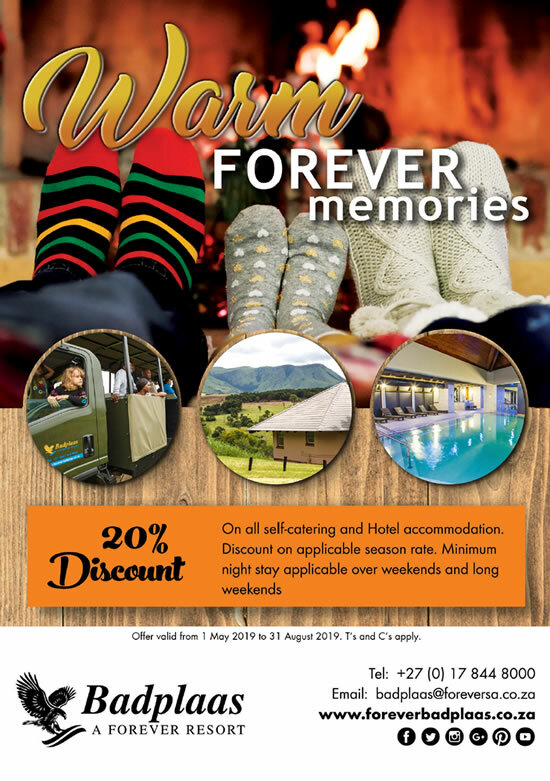 20% Discount on applicable season rate on all self-catering and Hotel accommodation. Book now! 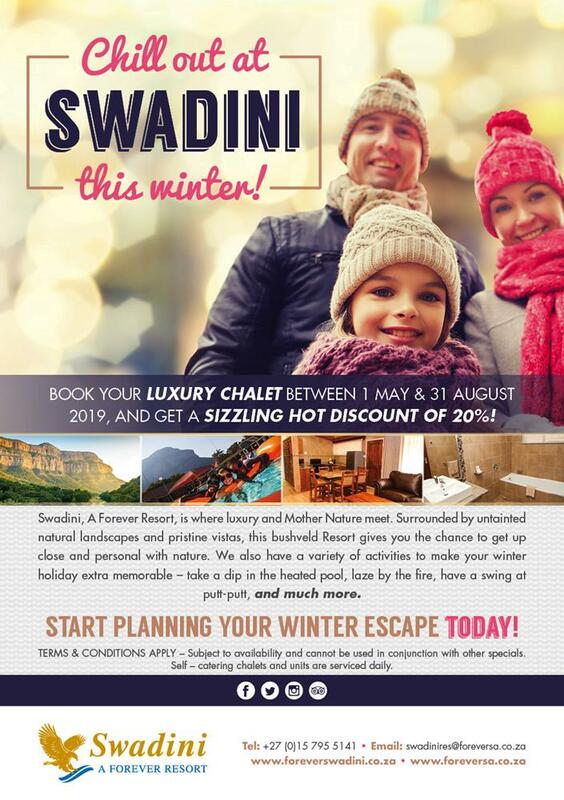 Special offer is only valid from 01 May 2019 until 31 August 2019, this includes booking and accommodation. Booking to be made at least 7 working days before desired arrival date. 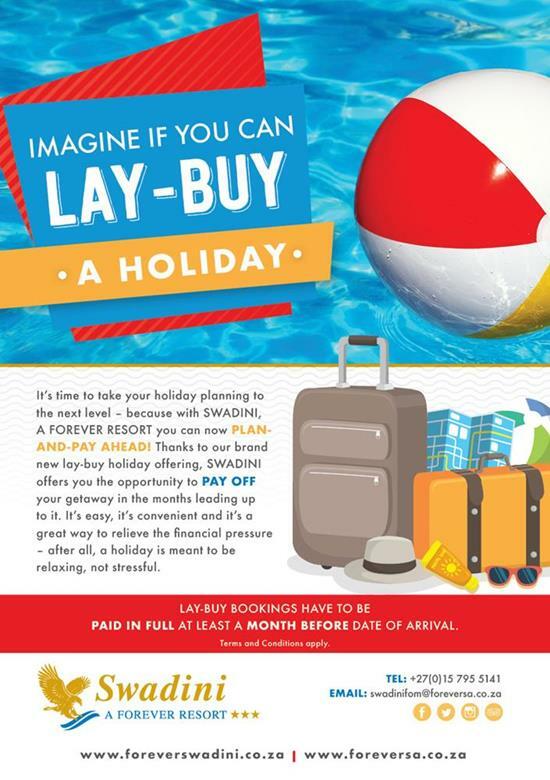 Offers apply to new bookings only. Cannot be used to extend bookings. 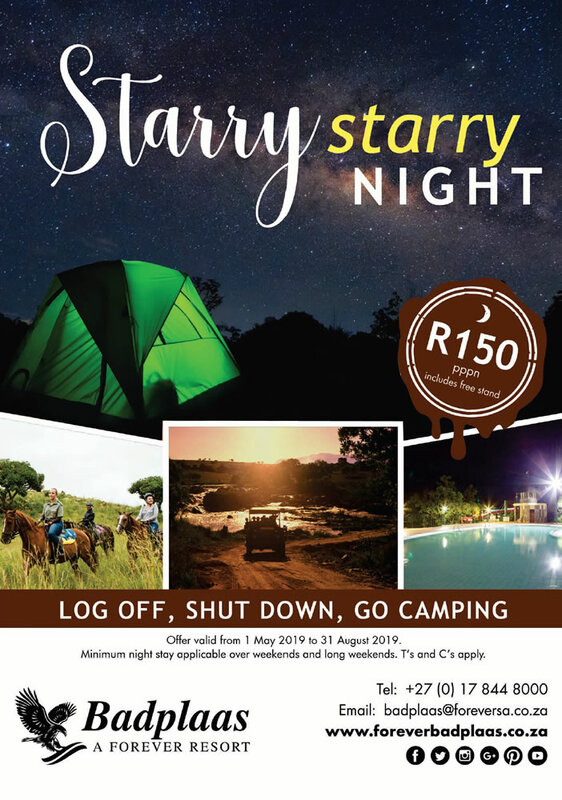 Log off, shut down, and go camping for only R150 p.p.p.n at Badplaas, A Forever Resort. 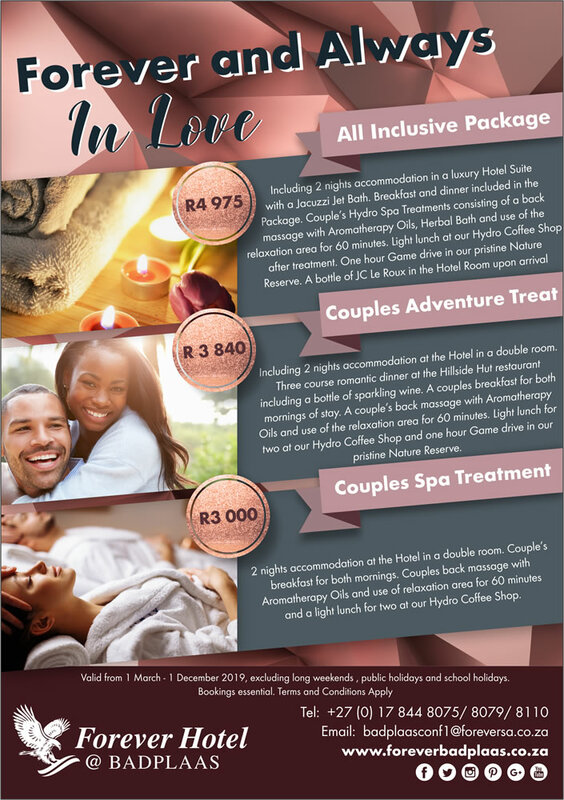 Fall in love all over again with a choice between an ALL INCLUSIVE PACKAGE for couples, COUPLES ADVENTURE RETREAT, or a COUPLES SPA TREATMENT at Badplaas, A Forever Resort. 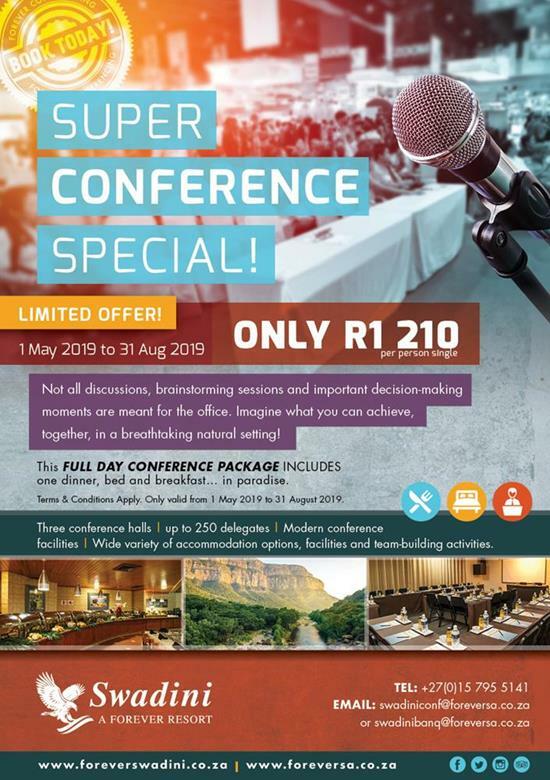 Special offer is only valid until 01 December 2019, this includes booking and accommodation. 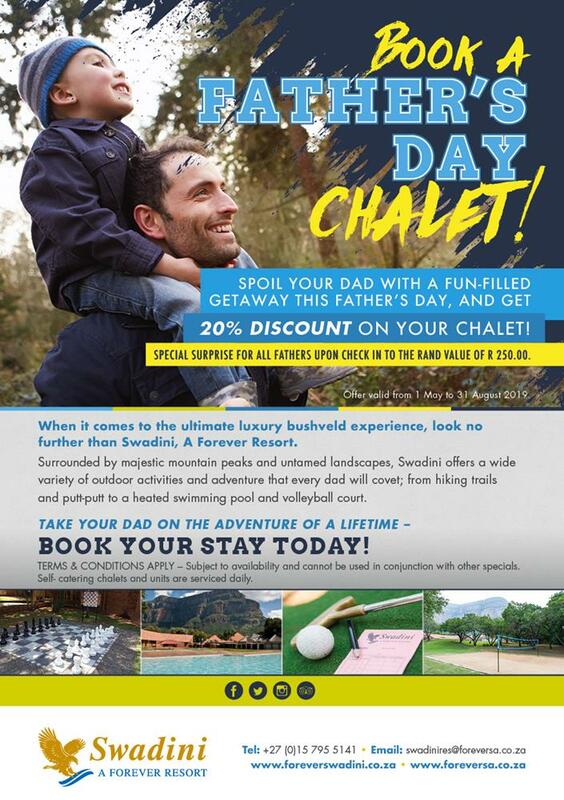 Maximum of two (2) adults per offer booking. 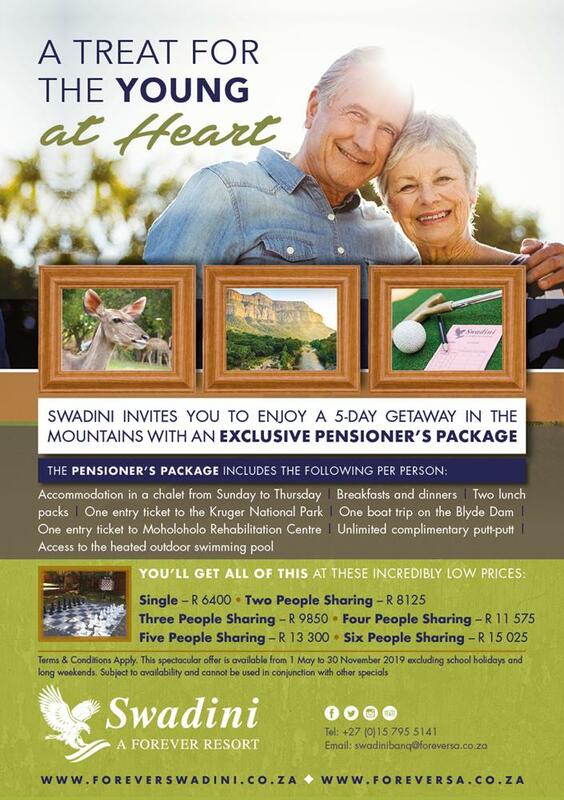 No discounted rate available for children or pensioners. 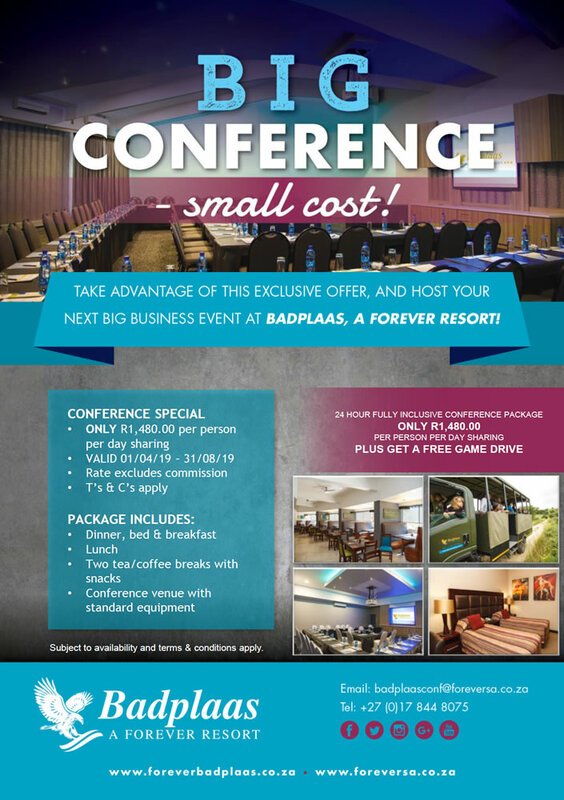 Badplaas, A Forever Hotel reserves their right to admission. Dinner at the Hotel is available only from 18:30, no exception. Breakfast at the Hotel is available only until 10:00, no exception. Booking to be made telephonically with Badplaas directly. Special offer is only valid from April till August 2019. Maximum of two (2) people sharing only. Bookings are subject to venue and room availability. Breakfast at the Hotel is available only from 07:00, no exception. 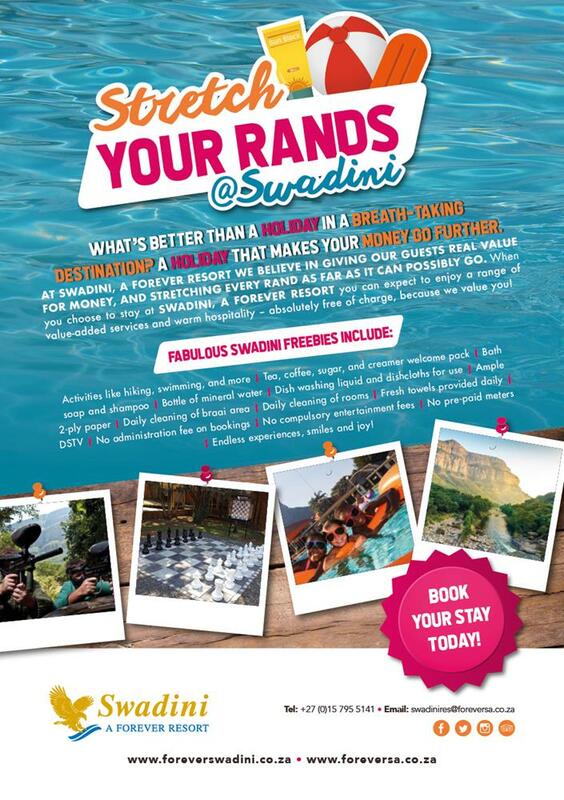 Game drive bookings essential and subject to availability. Rate excludes any other activities. There are no current hydro and spa specials. Please visit this page again soon.